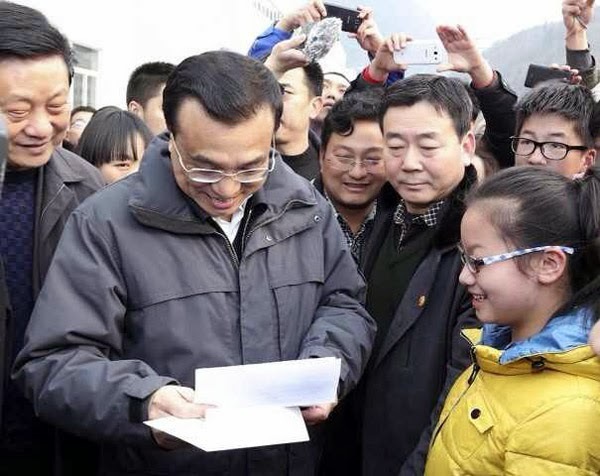 In his first press conference as premier, Li Keqiang affirmed the Chinese government's commitment to building a social security system safety net that will include provision of medical care. According to China Daily, the premier said the government should "weave a network that guarantees the basic living of all the people", covering education, medical care, social insurance and housing. China is facing severe shortages in blood donations as the usual donors - students - return home for Chinese New Year. Nanning's blood donation centre now has only 300 donors a day but the city needs 4-500 to meet hospital demand, according to CRI. Cold winter weather also deters people from going to blood donation centers or donation buses, health authorities say. Mianyang's 'corridor doctor' whistleblower who lost her job after complaining about hospital overservicing will be offered her job back after an inquiry, authorities in Sichuan say, according to Global Times. Lan Yuefeng worked in a corridor for two years after protesting about her hospital offering unnecessary treatments and profiteering. Foreigners who work in China now receive social security cards that allow them to access subsidised medical treatment in the same way as Chinese citizens, according to China Daily. However many foreigners are unsure of their entitlements and do not use them, a professor says. New social security laws compel local authorities to provide financial assistance to the needy including those with severe medical conditions and local officials face legal action if they refuse to provide it, according to the Beijing Review. However, local authorities say they do not have the personnel to check every single claim for validity. Shanghai has set up special drop-in medical centres for outdoor workers who are suffering from the effects of air pollution, according to ECNS. The city authorities have also provided 300 medical cards for outdoor workers because of their high risk of pollution-related ailments. The Chinese vice premier Liu Yandong has called on all local authorities across China to take action to prevent the spread of H7N9 influenza. Local health departments will face punishment if they do not take action on epidemic surveillance and outbreak response plans in areas such as health institutions and schools. Poultry markets in Beijing have not tested positive for H7N9 influenza virus, according to the Shanghai Daily. However Shanghai has now experienced its eighth case of H7N9 avian influenza of the year, the paper reports.